Liebherr is one of the largest construction equipment manufacturers in the world. Founded in 1949, it has expanded and is active in the aviation and refrigeration sectors. Much of the manufacturing capability is in Germany, but there are plants worldwide. The holding company is registered in Switzerland. 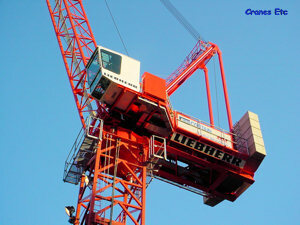 Liebherr have had an extensive scale model programme for many years with regular new releases. There is a focus on accurate high quality.